You are currently browsing the tag archive for the ‘sausage’ tag. This picture just about sums up the conclusion to this weekend. 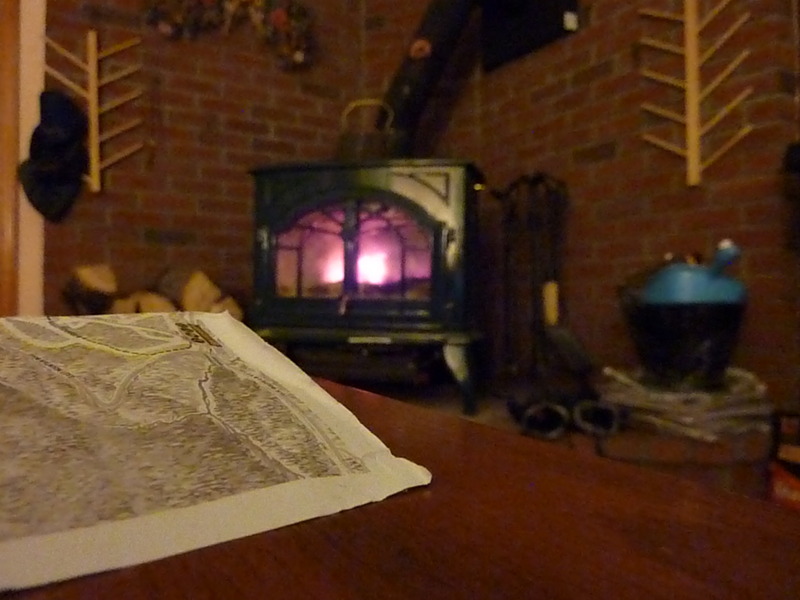 I put my camera on the table to download the pictures from the snowstorm that I took today and noticed that the viewfinder had the perfect shot – the trail map from Killington that the boys poured over like gold was hidden somewhere in there and the fire in the background, which kept us all warm and cozy through this week, with its wild windy lows and its crazy snows. The New Year’s holiday has been a blur. A good blur, but still a blur. Lots of family, friends, food, laughter. 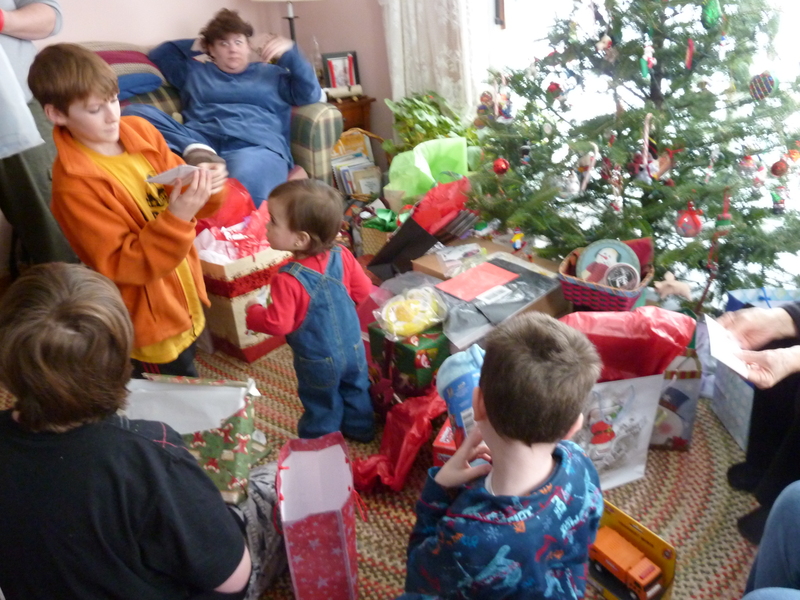 We celebrated Christmas with my family when they all arrived which was very nice. And was still continuing when we sent our guests off with hugs, kisses and bellies full of pancakes with maple syrup and sausage and our neighbor’s bacon and our eggs…. and it continued while we disassembled Christmas from our house… and it continued while we ran to the store to get lunch stuff and dinner …. and it continued still into the evening hours when the boys were set off to bed with dreams of a delayed opening in their little heads. 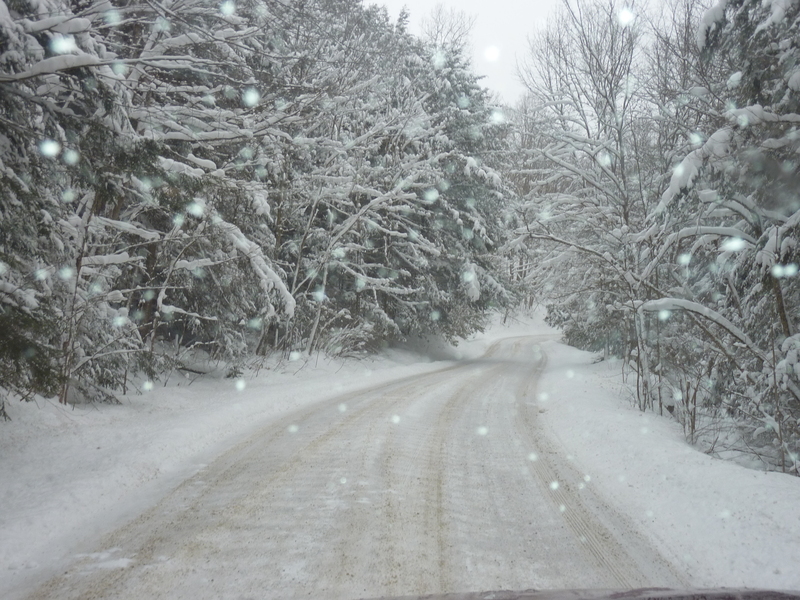 Welcome to winter….. Vermont style.